Families will soon start to identify the 18 bodies that have been recovered at the Gloria Coal Mine in Middelburg, Mpumalanga, so far. Five bodies were recovered two weeks ago and 13 others on Friday. An unknown number is feared to be still trapped underground. More than 20 people were trapped underground in the beginning of the month after a gas explosion. They were allegedly stealing copper in the Gupta-owned mine that was closed after it was placed under business rescue last year. The recovery operation is expected to resume on Monday. 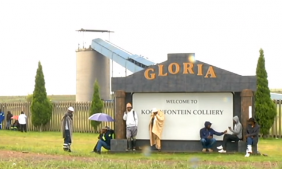 The post Families to soon start identifying Gloria Coal mine bodies appeared first on SABC News – Breaking news, special reports, world, business, sport coverage of all South African current events. Africa's news leader..